The overall business climate index among European firms has fallen 7 points since the last quarter. Consumer price index (CPI) dropped by 0.53 per cent in May from the previous month, mostly due to a sharp fall in food prices, the General Statistics Office (GSO) said on Monday. PetroVietnam Oil (PV Oil), Vietnam’s sole crude oil exporter, has increased the percentage of state divestment to almost 65 per cent, from an earlier fixed limit of 55 per cent. Agricultural, forestry and fishery exports in May hit an estimated value of US$2.8 billion, according to the Ministry of Agriculture and Rural Development. HCM City’s economic performance in the first five months of the year has been rock steady. City’s retail market to see large quantity of floor area by end of 2018, according to Colliers report. A large supply pipeline of more than 600,000 sq m of gross floor area (GFA) from 19 projects is estimated to enter the Ho Chi Minh City market from now until the end of 2018, according to a report entitled “Ho Chi Minh City Market Insights – Retail Sector” released recently by Colliers International Vietnam. The northern mountainous province of Lai Chau will spend VND110 billion (US$4.8 million) from its budget on growing macadamia, which is expected to help boost the local economy. Coffee exports for the 2016/2017 season have already fallen nearly 7 percent, based on government data. 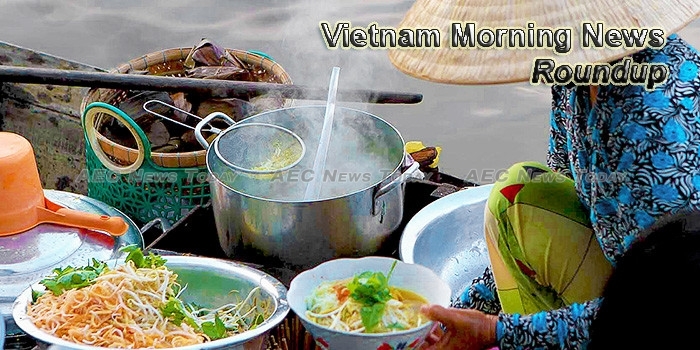 Viet Nam had to spend more than $1.5 billion to import animal feed and raw material in the first five months of this year, up 27.5 per cent compared with 2016, despite market difficulties for meat, especially pork. The Viglacera Corporation JSC (Viglacera) held an auction on Monday at the Hà Nội Stock Exchange (HNX), selling 120 million shares at a starting price of VNĐ12,300 (US$0.54) per share. There’s nothing like paying $5 for a bowl of pho to leave a bad taste in your mouth. The imposition of 5 per cent export tax on cement is weighing down the industry, which has been facing a severe surplus of supply over demand in the local market.